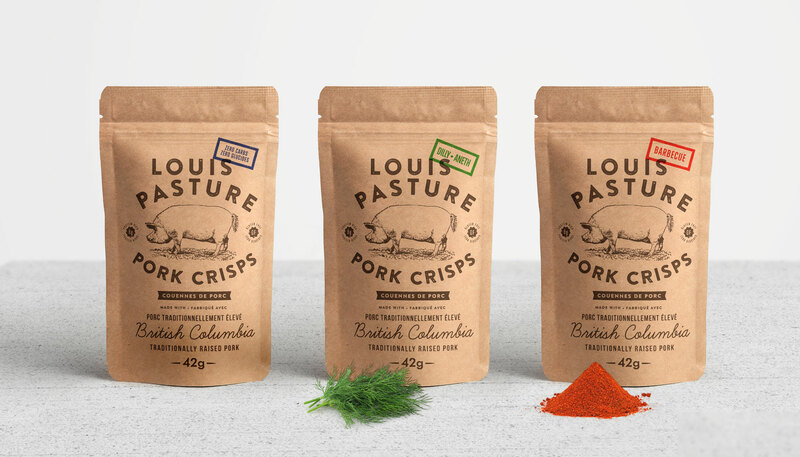 Originally selling exclusively at farmer’s markets, Louis Pasture found a niche with the Paleo/Keto community on Vancouver Island. Growing demand drove the need for packaging that was both cost-effective and retail-compliant, while also reflecting their rural island roots. 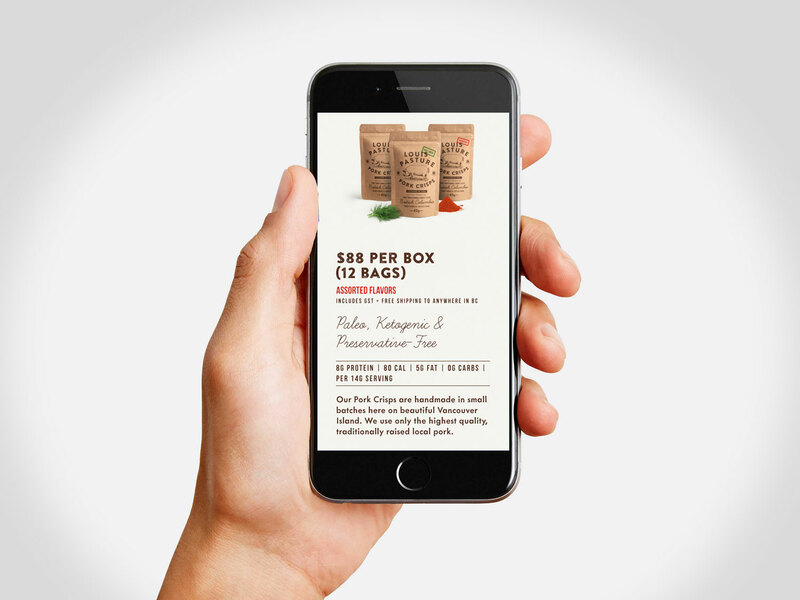 Our packaging solution uses a suite of rubber stamps that allow bags to be prepared as needed, ensuring the product reaches retailer’s as fresh as possible. When volume allows, the packaging will shift to a combination of hot stamped bags with rubber stamped flavours.